…and even live longer too! Do you wish your smile were brighter? year to brighten their smile. The natural aging process affects the brightness of our smile as we age. Add to that…many of us enjoy a few indulgences: coffee, tea, and/or a glass of red wine. Dentistry for the Entire Family offers complimentary cosmetic dentistry consultations. 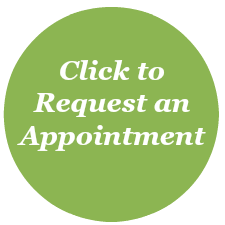 Call (763) 586-9988 or click the button below to schedule a cosmetic dentistry consultation with one of our dentists. Select and click on a topic below to learn more about teeth whitening. Most teeth whitening products contain one of two active whitening agents, hydrogen peroxide or carbamide peroxide. The active ingredient reacts with the molecules in the outermost layer of your teeth to “dissolve” the tooth surface discoloration. The result is a brighter outward appearance of your teeth and smile. There are many variables that impact how much your teeth will brighten. Research has shown that professional products are the best whitening products. They deliver the brightest of smile results, up to eight (8) shades brighter. How effective are over the counter whitening products? The concentration and endless variables regarding application and use make it very difficult for researchers to quantify the effectiveness of at home whitening agents and products. Manufacturers of these products claim the average consumer can expect 2-3 shades brighter. The concentration of the active ingredient contained in a at home tooth whitening product is only one determinate for how effective your whitening treatment results will be. A higher percentage teeth brightening solution does not necessarily translate to “more effective or better results”. The American Dental Association (ADA) does not report any significant, long term oral or systemic health risks associated with professional tooth whitening products. It is not uncommon to experience some mild temperature teeth and/or gum sensitivity to hot and cold food and beverages during teeth brightening treatment. Sensitivity is generally related to the peroxide concentration and how long the whitening agent is in contact with the teeth. Using a prescription strength fluoride can help alleviate or reduce sensitivity before, during, and following your whitening treatment. If you have exposed root surfaces (aka recession) it’s best to discuss alternative teeth brightening options with your dentist. Exposed root surfaces do not respond well to tooth whitening agents and can become extremely sensitive, even painful if teeth brightening gel comes into contact with these surfaces. Your dental professional can show you tips and tricks for how to minimize whitening gel from exposed root surfaces. Whitening your teeth can affect the strength, color, and/or texture of existing dental restorations as well as any planned, future dental treatment. Its best to discuss your desire to brighten your teeth with your dentist prior to brightening your teeth. Use of tooth whitening products are generally not recommended for anyone under the age of eighteen. Research estimates that the nerves inside our teeth don’t fully mature till age eighteen. Use of whitening agents prior to maturation may permanently injure the nerve inside your teeth. Its best to discuss alternative teeth brightening options with your dentist. Over the counter tooth whitening toothpaste may be a great alternative to consider. Whitening toothpastes work by dissolving superficial surface stains on the outermost surface of our teeth called the enamel. Professional application by a licensed dental professional in dental office after examination by a licensed dentist. **Typical results will vary. To maintain desired brightness, professional maintenance is required. Procedure: Teeth whitening agent is contained within a transparent, adhesive strip and is worn for thirty (30) minutes two times per day for up to twenty one (21) days or until desired brightness. Teeth whitening is not permanent. If not maintained, your teeth will gradually return to their pre-teeth whitening color or shade. There are several teeth whitening products available over the counter. Are over the counter teeth whitening products safe? “The American Dental Association recommends that if you choose to use a bleaching product, you should only do so after consultation with a dentist. This is especially important for patients with many fillings, crowns, and extremely dark stains. A thorough oral examination, performed by a licensed dentist , is essential to determine if bleaching is an appropriate course of treatment. The dentist and patient together can together can determine the most appropriate treatment. The dentist may then advise the patient and supervise the use of bleaching agents within the context of a comprehensive, appropriately sequenced treatment plan”. Other non-dental options refers to teeth whitening treatments or kits sold in non-dental retail settings such as mall kiosks, salons, spas, and aboard passenger cruise ships. Call (763) 586-9988 or click the button below to request an appointment.